My Jane’s Walk in 2011: picture this with bikes. And water. And sunshine! This morning, price CBC Ottawa morning aired an interview with me about the Jane’s Walk I’ll be leading on Sunday afternoon along the Ottawa River waterfront. Give this a listen and please let me know what you think! Dennis speaks to producer Christine Maki about attractions and amenities that used to exist along the Ottawa waterfront. The interview took place at the base of the Rideau Canal locks along the NCC Bike Path. 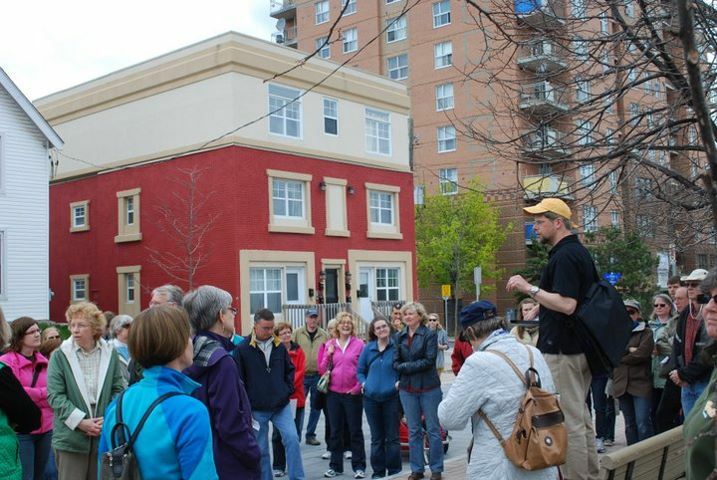 Archive: Other Jane’s Walk interviews from Ottawa Morning.